My holiday ended on Wednesday. I was at the airport by 11 o’clock, in the air before 2 o’clock, and getting through UK Border and baggage reclaim between 4:30 and 5pm UK time. I got my car back at 5 o’clock and after successfully negotiating the M25, M40, A43 and the M1, I reached home shortly before 9pm – can’t complain about that. Then there began the post holiday round of unpacking, washing & ironing, of course. So what did I think of the holiday? After all, this was my fourth visit to Crete in successive years – am I all ‘Crete-d out’? Well, there were times when I was beginning to think so. However, my overall conclusion is that I enjoyed it and I had a good time. I came to like Heraklion a lot. I mentioned in an earlier post that I was surprised that the town didn’t make more of its port; well, I think I’ve got over that feeling. What I came to realise is that Heraklion isn’t primarily a tourist town, or a resort – it’s the capital of Crete and most of the restaurants and bars are catering primarily for a Greek population. In fact, given that it’s a good-sized city it’s an urban, educated and professional population at that. The number of tourists in Heraklion itself is quite small, I think, and is dwarfed by the local population. Once I’d realised this, I came to enjoy it. Most of the people I was seeing were therefore local people getting on with their lives. In contrast, Agios Nikolaos was completely touristy. That was probably the most unsatisfying day of the holiday – I got hot and tired and didn’t really discover anything new. And I found the restaurant I visited for lunch less welcoming than the non-tourist restaurants in Heraklion. Little things – in Heraklion, no sooner had you taken your seat in a restaurant or bar but a glass of water would be placed in front of you, together with a small bowl of nibbles, all free of charge, whereas at the restaurant at Ag Nik I had to ask for water, and when it came it was in a bottle that I had to pay for. Chania, too, shared some of the touristy aspects. The harbour front is undeniably beautiful and I always enjoy walking along it, but it’s also the case that the greeters at the restaurants are undeniably pushy, and again you can get charged for things that you’ve come to take for granted in other places. (Of course, I do recognise that you also get that amazing view.) I enjoyed visiting some lest touristy places, so here’s an honourable mention of the Galileo Cafe, which is on the harbour front, and the Melodica bar on Sifaka, away from the harbour altogether. And I enjoyed really exploring parts of Chania that I’d not been to in previous years – the Splantzia area, for example. So overall it was a good holiday. But next year I don’t think I will be returning. There will hopefully be other family events happening, on dates that aren’t yet known, so I won’t be making any plans for the late spring or summer. Sunday was the day I transferred from Heraklion to Chania. This was to be by bus, and I already know it would be a long journey – anything up to three hours. Check-in time at my hotel in Chania was two o’clock and I wanted to be there no later than that. There was also the fact that I couldn’t really get any lunch until after I’d checked in, which was another argument for getting to Chania as close to check-in time as possible. So I walked down to the bus station (getting rather hot in the process) and arrived there at just after ten o’clock. The buses run every hour on the half-hour, and I was able to get a ticket for the next bus, at 10:30. I’m never sure if they check how many tickets they’ve sold, but probably they do – the buses are generally full, but I don’t think I’ve ever seen people refused boarding at the starting point. Anyway, this bus was certainly full on leaving Heraklion but it slowly lost passengers as we went westwards. The main exodus was at Rethymno, which is about two-thirds of the way to Chania. But progress was fairly leisurely, with frequent stops and some departures from the main road – for example, the bus went into the centre of both Rethymno and Souda, from each of which it then had to get back onto the main road. All in all it was almost three hours three hours after leaving Heraklion that the bus rolled into the familiar surroundings of Chania bus station. The ticket cost just €15.something, which was a bit more than I remembered. On Saturday I spent a final day in Heraklion. I went out early in the morning (well, ok, “early-ish”) to re-take some shots of places that I’d taken a couple of days earlier and wanted to repeat, and that hour or so went well. I still hadn’t visited the Archeological Museum so that was on my list of things to do, as was just exploring the city – and putting together in my head the various places I’d strolled through so that I had a better map of it. First target was the Venetian Loggia, and I think I got better shots of it today. I also learned its secret – it’s not, in fact, Venetian at all; it’s a (very) faithful reconstruction of the original Loggia. Apparently, the original (which was first built in the early 17th century) was damaged a number times over the following centuries, by earthquake, fire and battle. The Ottomans re-purposed it, of course, but with Cretan independence in 1898 proposals began to be made to restore it. However, nothing came to fruition – indeed, exactly the opposite, as the first floor was demolished around the time of the first world war, and then the remaining ground floor was similarly demolished. Nonetheless it was “restored” following the second world war, though I’m not clear on how much was restoration and how much was reconstruction. Nevertheless it’s a beautiful building and worth photographic attention. If I’d been keener I’d have gone out even earlier, but I’m on holiday after all. I spent yesterday, the first full day of this holiday, just walking around Heraklion. Apart from the two flying visits mentioned in yesterday’s post it was my first encounter with this city. I’d heard many things about it, both good and not-so-good. I had a good-enough map with a couple of suggested walks marked on it, so I decided to follow the map – with the occasional detour to follow my nose – and see what I would see. A few hours later I wasn’t so sure. I’d followed the walk to its end at the Archeoligical Museum and had then continued, aiming to get to the port; this appeared to be not far beyond the museum, albeit down a hill. However I was surprised at how difficult it was to make my way that last distance, and how little there was around the port area once I’d got there. The old town, which is up on the hill, is surrounded by wide roads (dual carriageways in UK-speak), and these roads run between the old town and the port. There is therefore a definite discontinuity between the old town and the port. And as I said, once you get there there aren’t many attractions. There’s the old Venetian fortress that I visited last year, and you can walk along the quay side for some distance, but that’s it – very little in the way of bars and restaurants. 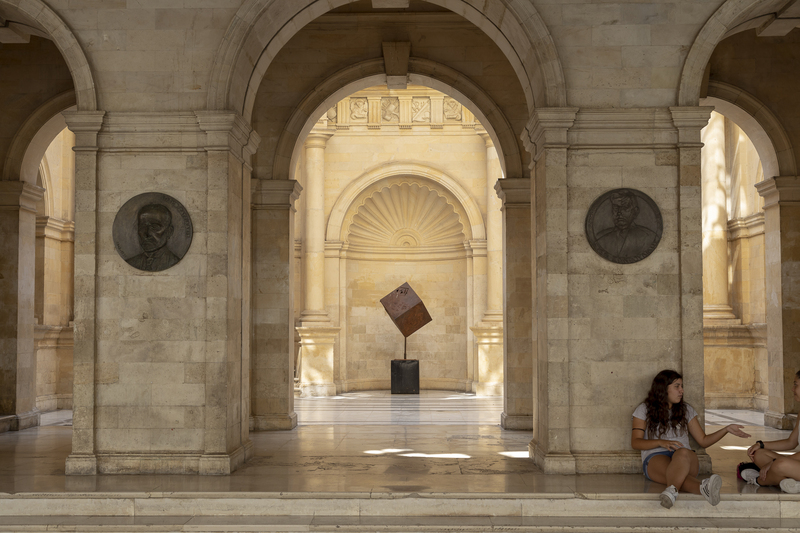 I don’t want to be too down on Heraklion – it’s an attractive, busy and vibrant place, but some decisions years ago have restricted their options somewhat. One advantage, however – the KTEL bus station is on these main roads so the buses aren’t trying to get around the wider city too much. After leaving the port I eventually worked my way back to the Archeological Museum, arriving there at about 3 o’clock. When I’d walked past it a few hours earlier it was an ocean of peace and calm, but this time the covered courtyard outside was packed with people. Looking closer it was obvious that they were a party from a cruise ship. Indeed, they were several parties; I saw at least three differently-numbered badges. I eventually got to speak to one of the guides, intending to ask how long their visit would last. it took a minute or two to make myself understood but the guide got the point. “One hour”, she said, “you come back in one hour and we will be gone!”. Then she leaned forward and said quietly to me “is a good idea, I think….”. Having been on cruise excursions many times, it was interesting to see it from another perspective. In the event I didn’t return – I found a glass of wine in a bar and decided that it would mark the end of my explorations for the day. Is he landing in the car park? It’s early summer so it must be time for another trip to Crete. This is my fourth in as many years. On previous visits I’ve based myself at Chania in the western end of the island (with side-visits to Paleaochora), but this time I’m having four nights in Heraklion. 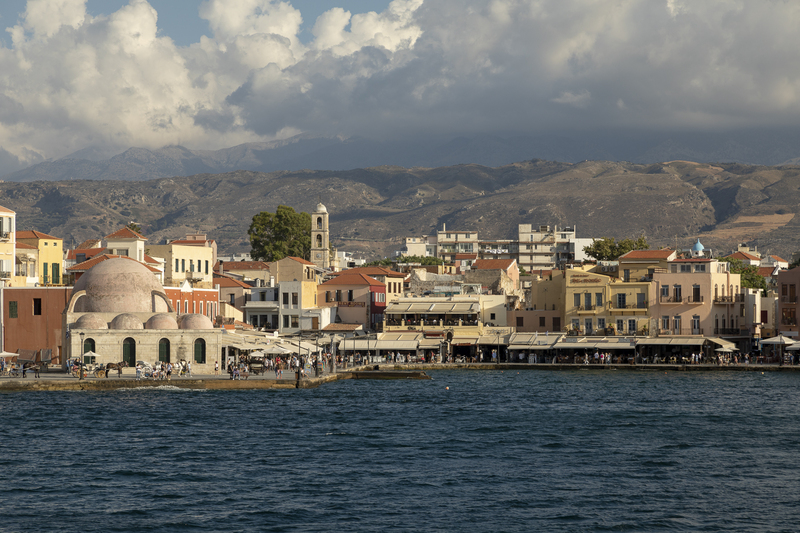 It’s the largest city in Crete and lies on the centre of the north coast (all of the largest cities and towns are on the north coast). I visited Heraklion a couple of times already – once on my first trip to Crete when I did an excursion to Knossos and the archeological museum in Heraklion, and the second time was last year, when I did a day trip to Heraklion on the public bus. Given that I was going to spend the first few days in Heraklion it made sense to fly in to Heraklion airport rather than Chania. 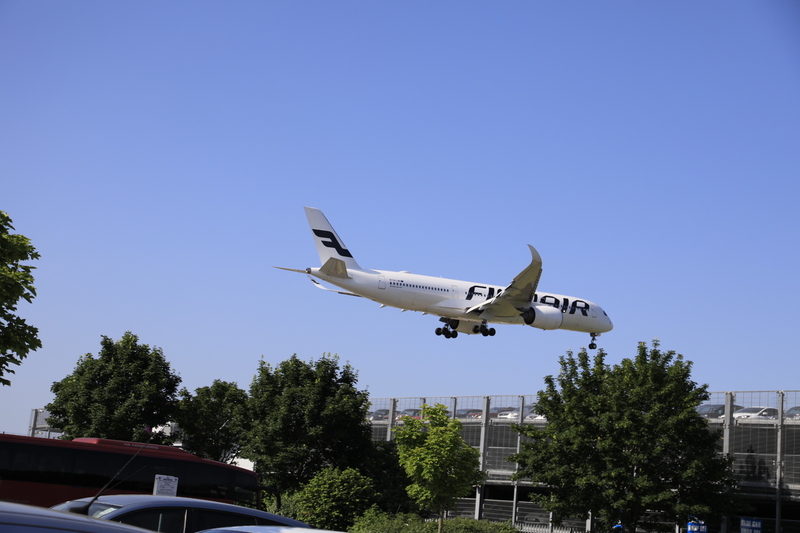 A number of airlines do that route – step forward, Ryanair – but my experience with them was so uncomfortable in 2016 that I preferred to not use them. BA do flights to Heraklion, from Gatwick, so I planned the trip to drive to Heathrow the day before, do a Premier Inn Sleep-Park-Fly stay and leave the car at Heathrow, get the coach from Heathrow to Gatwick, and fly to Heraklion. Then the flight home, which would be from Chania, would be back to Heathrow where I’d left the car. So far, that’s all worked out well. I drove to Heathrow on Tuesday and then had an afternoon in London. Wednesday was a long day – up early to make sure I got the car into the car park system in time for the coach to Gatwick and then the flight to Heraklion. Unfortunately that was delayed (late in-bound aircraft) so we arrived at Heraklion rather later than originally planned – about 9pm instead of 8:15. What with waiting for bags, etc, it was gone 9:30 before I stepped out of the airport. And then the fun really began. I’d havered between getting a taxi to the hotel or using the bus. My original plan had been the bus as I’ve heard bad things about Greek taxi drivers, but there was some uncertainty as to whereabouts in the city the bus would go – it was likely to be a city bus rather than the long-distance KTEL coaches that I’m used to – so I’d decided to get a taxi. (This meant getting Euros at the airport, of course.) Then I ran into a big problem – there were no taxis! In fact there was a sign at the taxi bay, “Taxi Strike”! Not good news, at approaching 10pm when I was feeling tired. However, away in the distance I could see an illuminated sign for the Bus Station, so I dragged my bags over there and found a ticket shack where I bought a bus ticket into town for €1.60, fora bus “in 10 minutes….”. I shouldn’t have been so doubtful – the bus (#6) duly turned up, we sat for about 5 minutes, and then it trundled off. I was checking progress with Google Maps on the phone, but just when I was thinking we were at a good spot to jump off, the driver announced that we had indeed reached “The Centre”. So it was then about a 15 minute walk with my bags to the hotel, where everything went well. Then, despite, the time, I went back out for drink or two. 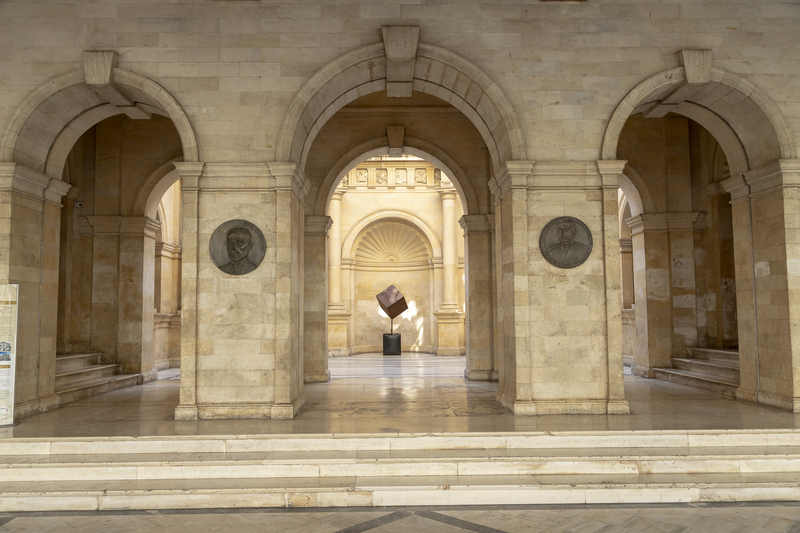 Next post – first impressions of Heraklion.